All zip archives on this site are password-protected with the standard password. If you don't know it, look at the "about" page of this website. 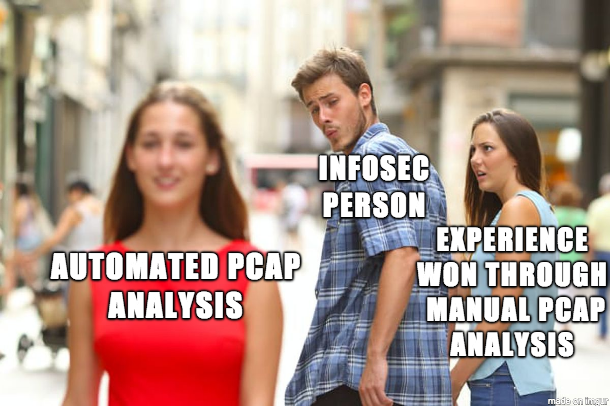 Shown above: I'm a big fan of experience gained through manual pcap analysis. Review the pcap and alerts, then write an incident report for this infected Windows host. The zip archive of malware and artifacts is a bonus, provided to help you better understand this infection, if needed. See below for a suggested template for an incident report. On 2019-03-19 at ??:?? UTC, a Windows host used by ????????? was infected with ?????? ?